When it comes to insulating a home, many homeowners mistakenly think that the only area that they need to insulate is the attic. However, this is far from the truth. There are four other areas of the home that you can insulate in order to gain additional benefits beyond just your utility bills. Putting insulation in your walls has multiple benefits. First, it’s an effective way that you can make your home more energy efficient. Secondly, it’s a great way to prevent noise from being carried into your house. There are many different types of insulation that homeowners can use for their walls, but the most common are batt, blown-in and spray foam. The basement is another area of the home that is often overlooked. Insulating your basement provides a more comfortable living space and saves you money on your energy bill. If you don’t have a finished basement, you can still insulate the foundation of the home to save money. Your best bet for basement insulation is batt or spray foam. Did you know that nearly 15% of the heat in a room is lost through the floor? This is why insulating your floors is a great way to make your home more eco-friendly. You should specifically consider insulating floors that are over unheated areas of the home, such as an unconditioned garage. The most common options for floor insulation includes, batt, blown-in and spray foam. Insulation in the crawlspace adds to the overall comfort and energy efficiency. 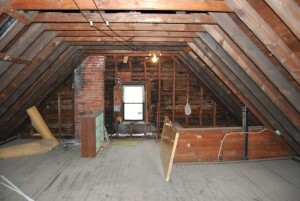 Batt, blown-in and spray foam are all options in this area of your home. When combined with insulation in other areas of your home, insulation in your crawlspace keeps air from the outside from coming into your home. This of course helps prevent your HVAC system from over working and will assist in saving you money.